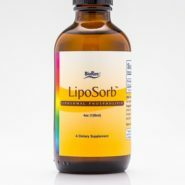 Liposomal Soy-sourced Phosphatidylcholine supports many cellular functions. Purchase this product now and earn 7,500 Reward Points! The term “phosphatidylcholine” is often used synonymously with “lecithin”, although the two are not exactly the same. Lecithin is actually a more generic term for a combination of phospholipids, the primary one being phosphatidylcholine. Foods such as egg yolks, soybeans, beef, liver, fish, pork, sunflower, and canola, are rich in lecithin and represent some of the natural dietary sources of phosphatidylcholine. Lecithin is also produced commercially and is commonly added to foods as an emulsifier or sold as a supplement. Phosphatidylcholine may comprise anywhere from 20% to 90% of commercially prepared lecithins. Structurally speaking, phosphatidylcholine is in a class of chemical compounds known as phospholipids, composed of a choline head group, glycerophosphoric acid, and two fatty acids. Phosphatidylcholine is one of the most important, and the most abundant phospholipids present in the human body. It has both hydrophilic and hydrophobic properties, making it well-suited for its role as a structural component of cellular membranes, and allowing it to play critical roles in cell membrane interactions such as messaging and transport of substances across the cell wall. Phosphatidylcholine has a particularly prominent presence in the extensive cell membrane surfaces of the liver, where it has been shown to aid in repairing damage from toxins, metals, pharmaceuticals, alcohol, and viruses. 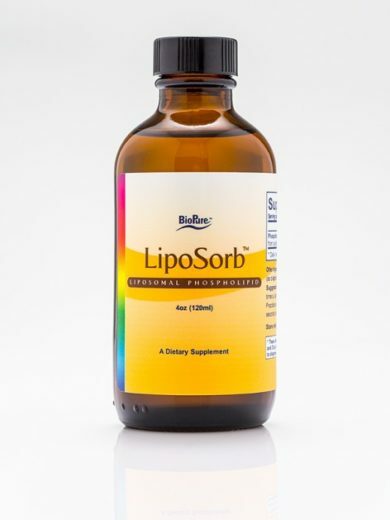 It is also involved in hepatic export of very low-density lipoproteins, which are important in preventing fatty liver disease, and in supporting healthy cholesterol metabolism. The liver is intricately involved in phosphatidylcholine homeostasis, serving to receive, recycle, and remanufacture phosphatidylcholine and other needed lipoproteins. Phosphatidylcholine breakdown supports the body’s supply of choline, and vice versa. Choline is an essential nutrient involved in most of the same functions as phosphatidylcholine. Choline is critical to normal fetal development and healthy metabolism in adults. It was once believed that the human body was able to manufacture enough choline on its own, but research has shown that supplementation, in the form of phosphatidylcholine, is beneficial and may even enhance performance in sports*. Choline is a precursor molecule to the important neurotransmitter, acetylcholine, essential to proper nervous system functioning throughout the body, including muscle control, brain activity, and memory. Folate and methionine are also critical to cognitive health. Choline, folate, and methionine have all been identified as essential dietary substances. Phosphatidylcholine is closely involved in maintaining equilibrium and an adequate supply of each of these important substances in the human body. If the metabolism of one is disturbed, it directly affects the metabolism of the others. In this way, phosphatidylcholine plays an integral role in supporting the body’s resistance to cognitive decline*. Phosphatidylcholine is also important during pregnancy for supporting proper development of the fetal immune system. Phosphatidylcholine is also present throughout organelles within the cell and plays roles in beneficial types of apoptosis. The phosphatidylcholine in LipoSorb® is arranged in micelles. These are a type of nanosized, single-layered vesicular structures in which the hydrophilic heads of the phosphatidylcholine molecules congregate on the outer surface and the hydrophobic tails all face toward the center of the vesicle. Arrangement in micelles allows the oil-soluble phospholipid to become easily absorbed in the watery environment of the small intestine, increasing bioavailability and efficacy*. D-α-tocopheryl polyethylene glycol succinate, or vitamin E TPGS is a water-soluble form of vitamin E. The presence of TPGS in these formulations provides many benefits, including enhancing the cellular uptake of the phosphatidylcholine, stabilizing the micelles, sustaining the release time and providing a small source of the antioxidant vitamin E.